To celebrate the reopening of Minami-za, Kyoto’s oldest kabuki theatre, an event bringing together innovative entertainment entitled Kyoto Mirai Matsuri 2019 is taking place in April and May. Japanese creative company NAKED has announced that it will participate in the festival’s HIRUMATSURI and YORUMATSURI events which will run from May 12 to 25. Several companies are getting involved in the event, including movie studio and production company Shochiku and event organiser and talent/model agency ASOBISYSTEM. They will come together to bring people the latest in technology and culture for both HIRUMATSURI and YORUMATSURI which will be held in the daytime and evening respectively, each with their own unique atmospheres that will imagine a futuristic festival. NAKED will use art to picture what an old-fashioned, traditional Japanese matsuri, or ‘festival’ will look like in the future. 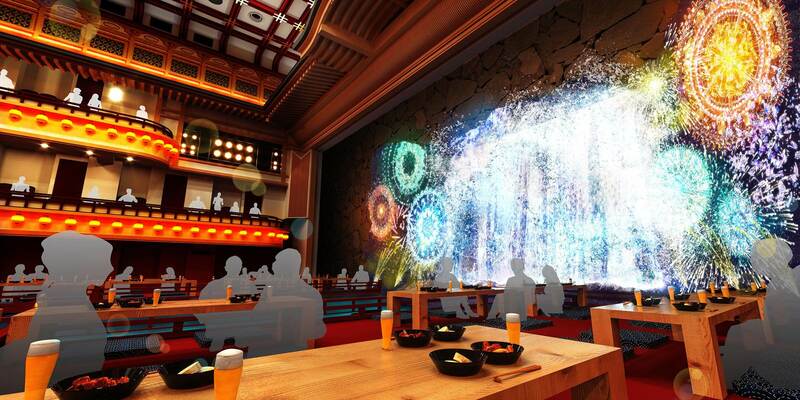 During HIRUMATSURI they will use projection mapping to project a huge waterfall. There will also be the “Hyper Target Practice” which will have you putting your hands into the shape of a gun and shouting “bang!” The company will deliver plenty of other digital and technology-driven fun too. 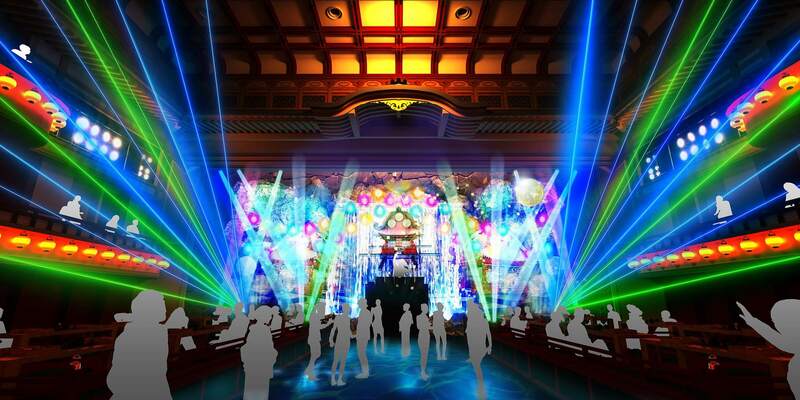 A DJ booth will be placed in front of the waterfall for YORUMATSURI to combine music and visuals and bring nighttime entertainment to Minami-za.